In today’s technologically advanced era where nothing seems to be impossible, every now and then a benchmark is set by genius minds and the other one comes with something more appealing and inventive. 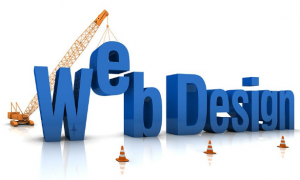 Talk about designing websites, apps, and development, there is no dearth of ideas to make customers drool over. But then, while working hard on the quest to get the desired results, even the geniuses at time seek help in the form of various kinds of resources. Now that its Friday, we are here with the scheduled weekly article dedicated to the latest tools, apps, websites and other useful resources that claim to be of great help in various designing and developing endeavours. Sneak a peek at what we have in store for you this week! This is a simple Mac utility tool for previewing and comparing your fonts. ExpandJS is a modular library that comprises of around 80+ custom elements and 350+ utility functions to kick start your Web Applications with ease. LayersWP is an all new WordPress site builder, that makes creating your website a speedier and simple experience. Sessions with Typography as the name suggests, is a self-guided experiment forTypekit fonts and Adobe Muse. This accessibility visualization toolkit namely tota11y helps with visualization of how your site performs with assistive technologies. BAssCSS is a lightweight CSS toolkit that is fast modular and offers the collection of base element styles and immutable utilities to provide speed, clarity, performance and scalability. As the name hints, Device Metric is a tool that provides you with the information like design measurement, values for portrait and landscape orientation and much more..
Now designing beautiful websites speedily with semantic. It is a development framework that helps in creating beautiful, responsive layouts using human-friendly HTML. Material Design Lite is a tool that enables you to add a Material Design look and feel to the websites you are working on. 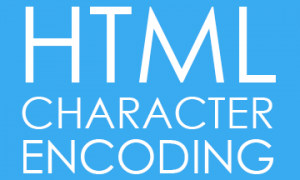 Its an easy to understand methodology that can be used while applying CSS to HTML in a structured, systematic way. The tool promises to make it easier for users to prototype, iterate and scale a web design. If you are a freelance designer/developer and planning to launch a startup, here is something we would refer you to do. This is a website that comprises of a​rticles that you need to read before launching a startup. The articles are written by​ ​founders, designers, investors and thought leaders for you all to read for better understanding of launching a startup. That’s all we have for you this week. With the hope that the lists of various kinds of tools, apps and websites are proving to be of great help to all our designer and developer friends, here we wind up promising to be there with more and more useful stuff in coming weeks.